Man City boss Pep Guardiola has played down fears over Vincent Kompany after he came off in their win over Watford on Tuesday night. The 32-year-old has a long history of injury problems, but he has made 10 appearances in all competitions so far this season as he evidently still has a key role to play for City. Their march towards defending their Premier League title continued on Tuesday night after their 2-1 win over Watford temporarily moved them five points clear of Liverpool at the top of the table. 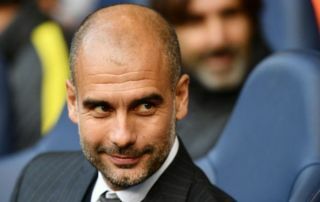 The Reds are in action against Burnley on Wednesday night and so they could cut the gap again, but City are in ominous form and look as motivated as ever to secure more domestic glory. With that in mind, the last thing that Guardiola needs is to suffer any injury setbacks, especially ahead of a busy festive period. In turn, with Kompany coming off in the 83rd minute, there would have been some concern that he may well have picked up another setback. As noted in freelance injury analyst Ben Dinnery’s tweet below though, Guardiola allayed any fears of such a setback, as he revealed that it was merely cramp and so the Belgian stalwart should be available moving forward. City face a crunch clash with Chelsea at the weekend, but it remains to be seen if Kompany is indeed selected to play twice in a week with that fatigue in mind. Guardiola will surely be relieved that it isn’t anything more serious though, albeit his captain has been restricted to a bit-part role for the most part.